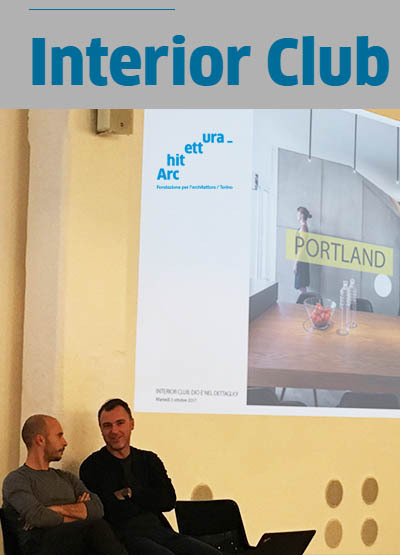 Alberto and Jacopo give a Lecture about the work of BLAARCHITETTURA to the students of IAAD of Turin during the Interior Course of Walter Nicolino. 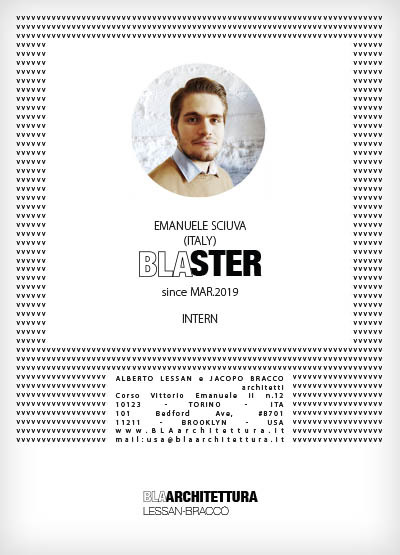 A great welcome to our new intern Emanuele! 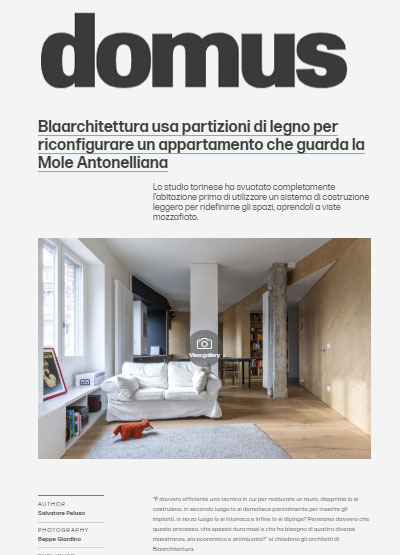 Our project "Italian Balloon Frame" is published on Domus with an article that well describes this renovation. 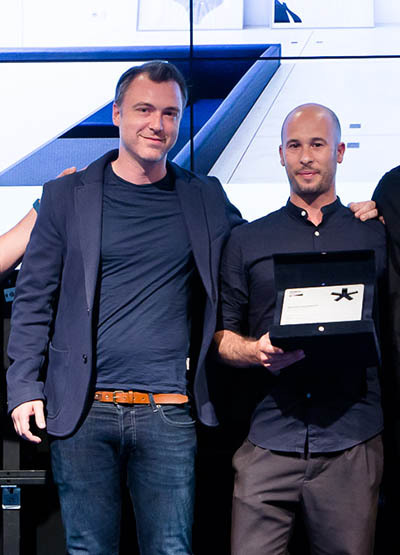 Thanks Domus! 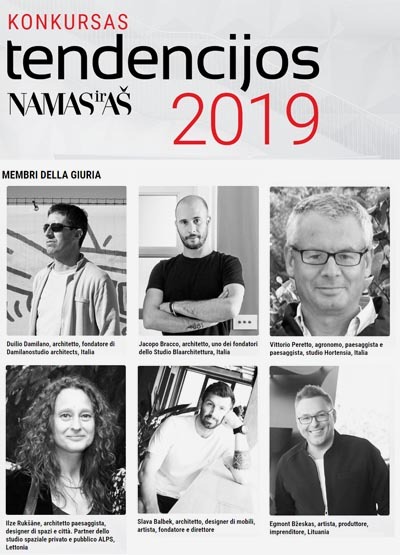 Lithiuanian Magazine NAMAS IR AS nominate Jacopo as a member of the jury of the competition "Tendecijos 2019". 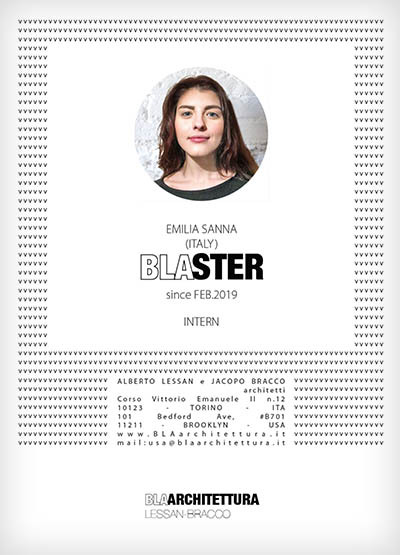 A great welcome to our new intern Emilia! 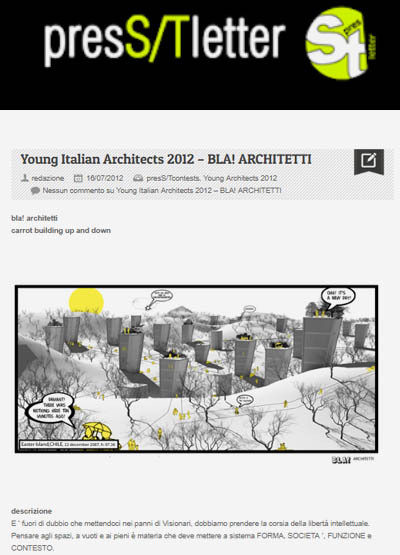 We have been published on Ioarch Magazine n.79. Reading that our projects have the same spirit of Scarpa, Franco Albini, Gio Ponti ad Umberto Riva, produce in us a very strong sensation. 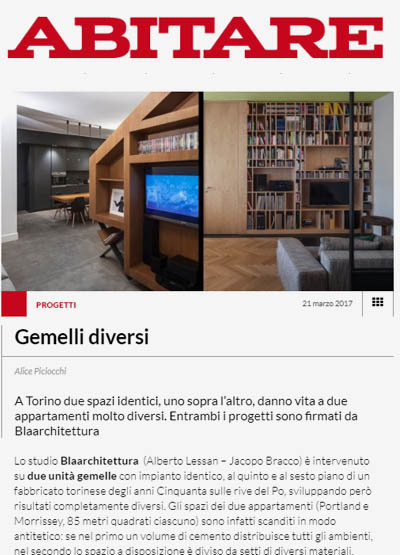 We really thank Luigi Prestinenza Puglisi and iOArch for this very acurate article that give us a feedback to be on the right way. Backstage of photo-shooting of restored apartment in Cuneo(Italy) in historic building. 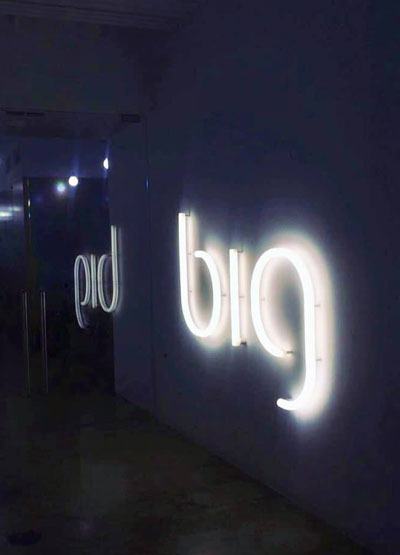 Soon the pictures of the project. 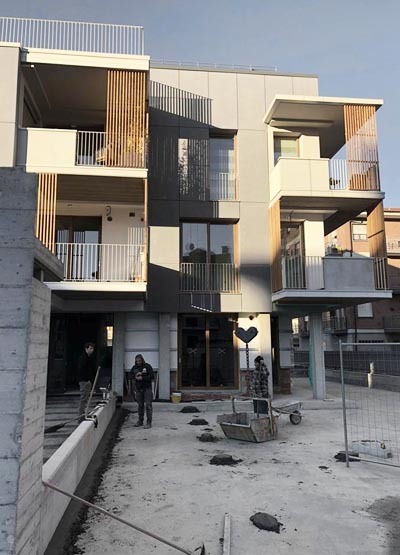 After a year and a half of construction, we are happy to see our project 9+9 Housing Units almost completed in Borgo San Dalmazzo (CN). 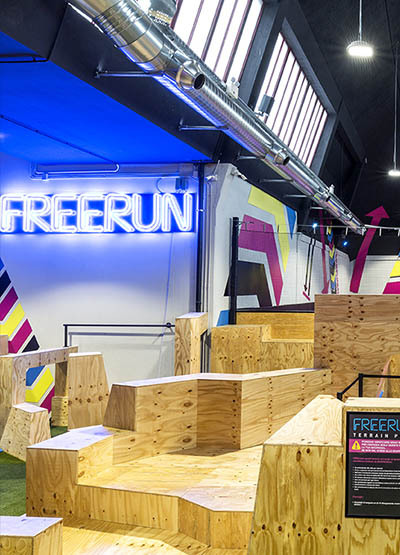 We had the chance to visit the most active office on the planet right now. Beside their strong-ideas projects, really interesting, they hosted us with incredible professionalism and kind warmness. Thanks a lot, we appreciated it! Visiting the One Vanderbilt building site with our Partner USA Cristina Cimarusti in New York. 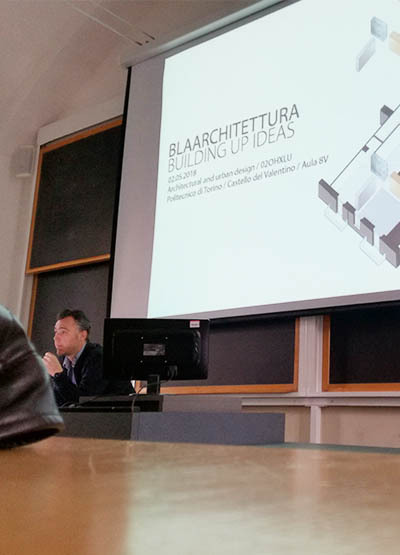 Alberto gives a Lecture about the work of BLAARCHITETTURA to the students of Composition and History of Architecture and of the City at the Polytechnic of Turin in Valentino Castle, Turin. Lithuanian Magazine Namas Ir Aš publish a review and put our project Italian Balloon Frame as Cover of the October Issue. 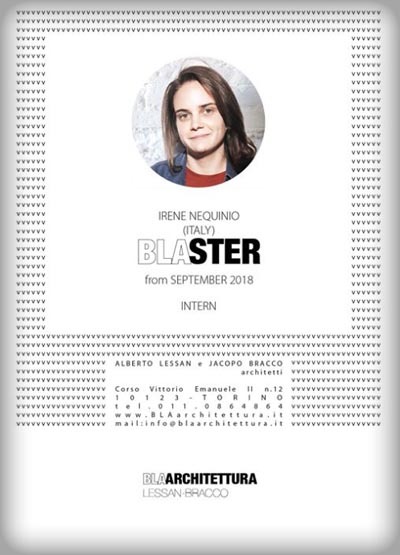 Jacopo gives a Lecture about the work of BLAARCHITETTURA to the students of the Interiors Architecture Course at the Polytechnic of Turin in Via Boggio, Turin. 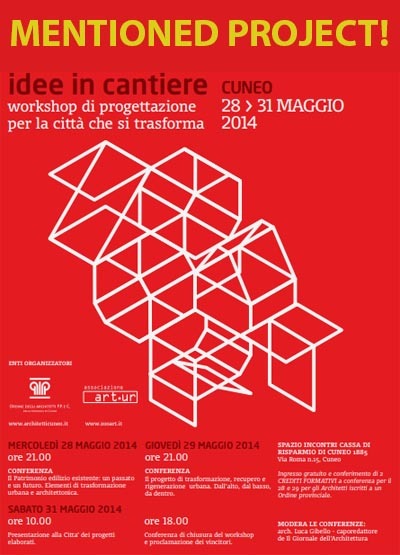 Alberto will talk in front of the public of the Event "Il Martedì dell'Architetto" and will show how our projects born. 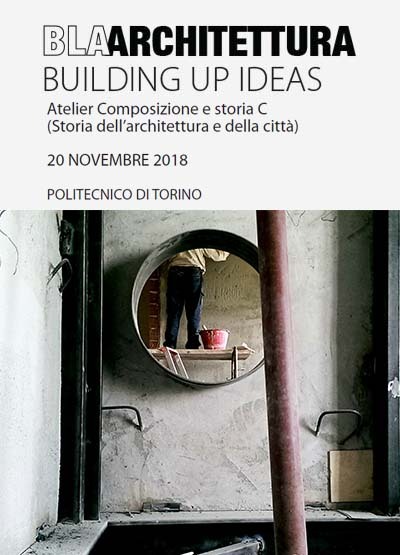 The event is organized by "Ordine degli Architetti di Torino" and will be held to L'Osservatorio of EDIT, Via Francesco Cigna 104/a. We are happy to have been published also this year by C.N.A.P.P.C. 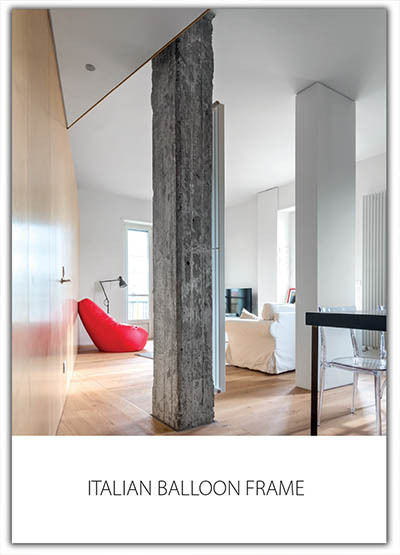 in the Book dedicated at the "Selection of Italian Architects of the Italian and Young Architectural Talent Prize 2017, with our project Phoenix. Welcome to Davide, since yesterday our new Junior Architect! A great welcome to our new intern Irene! 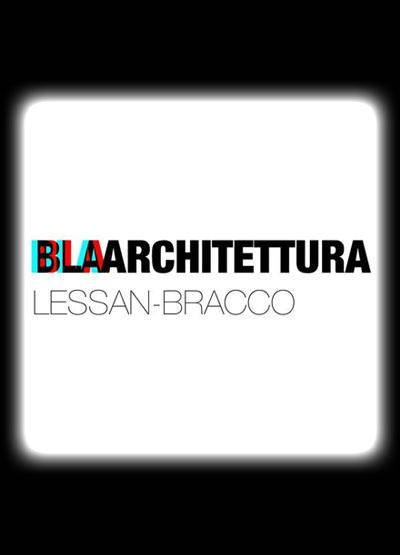 Put the goggles on and celebrate with us, because today Blaarchitettura makes 8 years!! 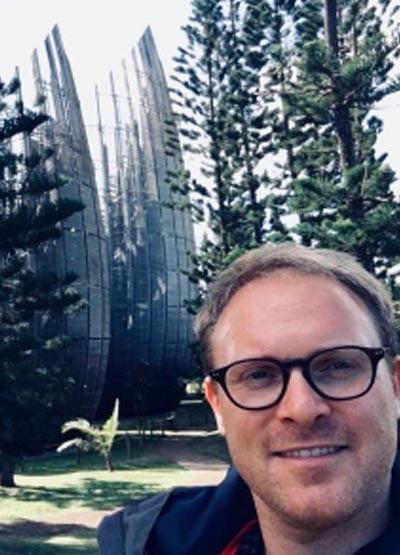 Thomas, of our Team BLAARCHITETTURA, is one of the three architects that are travelling around the world seeking for the masterpieces of Renzo Piano Building Workshop, running the "Renzo Piano World Tour in 40 days". 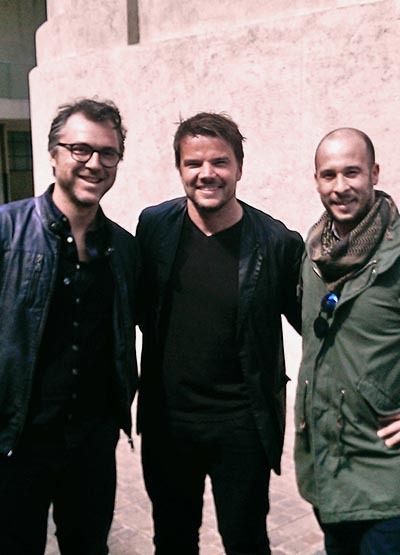 Have a nice experience Thomas! Get the most of it! with Thomas Pepino and Fondazione Renzo Piano. 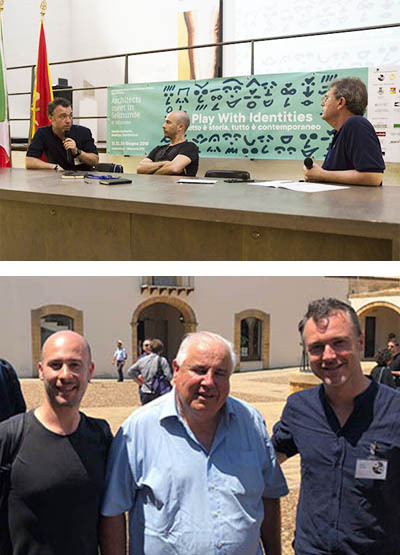 BLAARCHITETTURA speaker during "Architect Meet in Selinunte" meets William J.R. Curtis, author of "Modern Architecture since 1900".We kindly thank all the staff of AIAC and Luigi Prestinenza Puglisi for the invitation to the Meeting "Architects meet in Selinunte. Play With Identities 2018". Three days very rich, intense of lectures, discussions and interesting exchange of views. 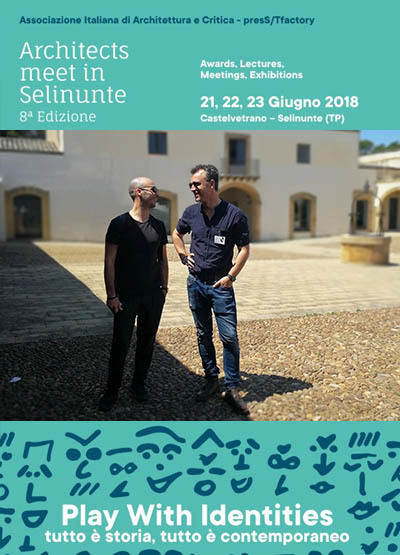 From 21 to 23 of June we will be in Selinunte for the Event "Architects meet in Selinunte" promoted by Luigi prestinenza Puglisi and aiac. 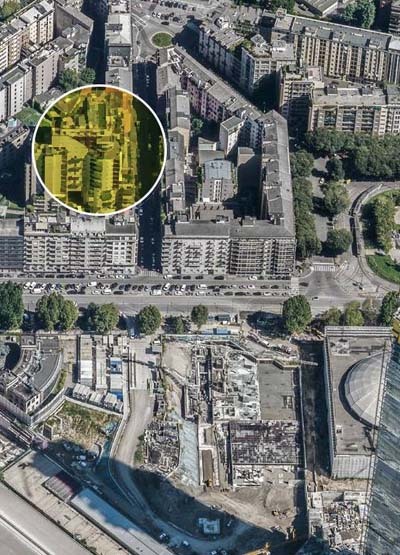 On 9 and 10 June 2018 our PHOENIX and MORRISSEY projects will be open during OPEN HOUSE TORINO, a totally free public event. We are happy to have been published in Home! with the project Morrissey. 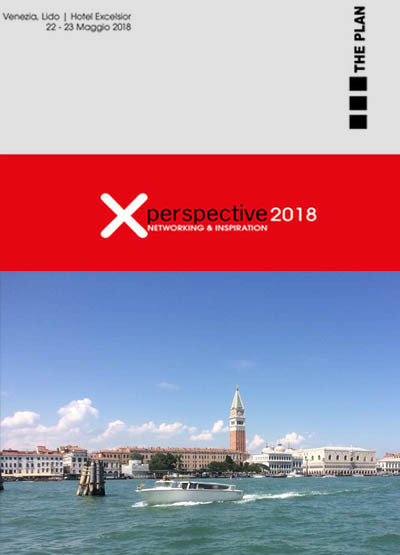 From 21 to 23 May we will be present at Perspective Eu 2018 in Venice, an event promoted by The Plan magazine. 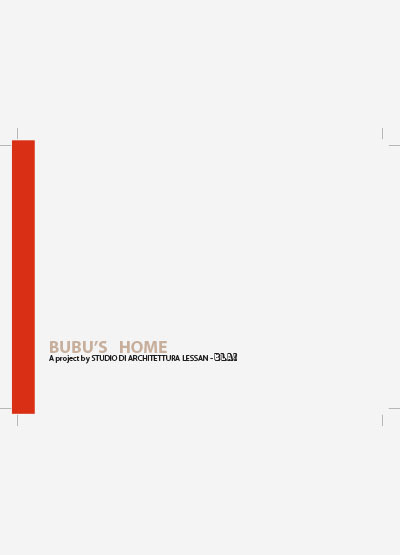 We will be speakers at a Panel Discussion dedicated to the theme of Quality in Architecture. 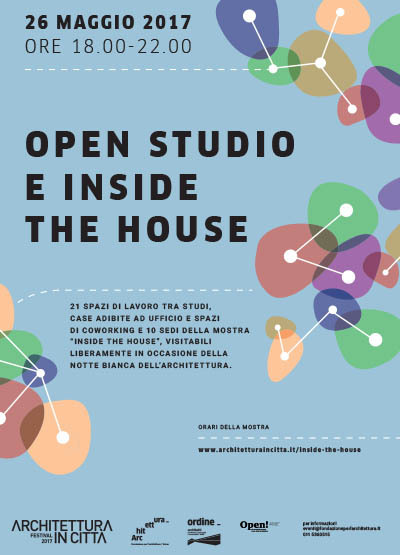 On 18 and 19 May 2018 our studio will participate in OPEN !, a national event promoted by the CNAPPC, and will remain open to the public from 6 pm to 10 pm to talk about our work with images, models and materials. 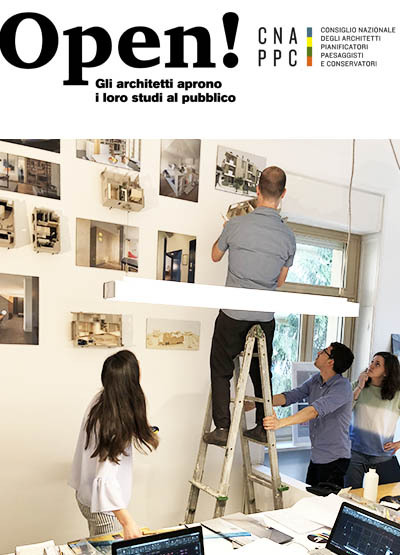 At the same time, visitors will be able to take part in "Hunting for Study", an event organized by the Order of Architects and by the Foundation for Architecture / Turin. Alberto presents the work of BLAARCHITETTURA to the students of the Architectural and Urban Design course at the Polytechnic of Turin at the Castello del Valentino in Turin. 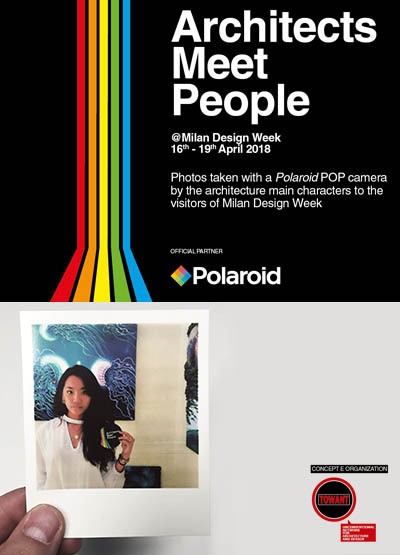 We would like to thank Towant Architectural Events for inviting us during the Milano Design Week to participate to "Architects Meet People", another of their captivating initiatives. We hope you enjoyed our contribution! Thank you! Second volume containing works and projects of the five-year period 2013-2018. Soon available on the SHOP. Construction works are finished. Everything is ready for the inauguration. Now available in shop section the book of Italian Balloon Frame. 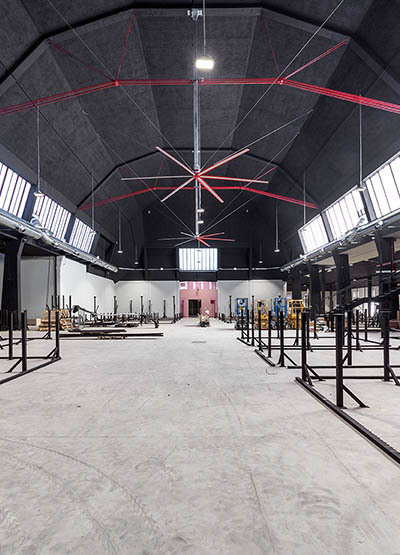 Bounce Inc give us the site driving of the permanent Installation in Ex Società Ippica Torinese in Nichelino. We are very pleased and excited to begin our work inside this spectacular dome designed and completed in 1961 by Roberto Gabetti e Aimaro Isola. This is one of those examples, they experimented in that period, where architectural projects merges with structural engineering rules. We are happy to have been published by C.N.A.P.P.C. 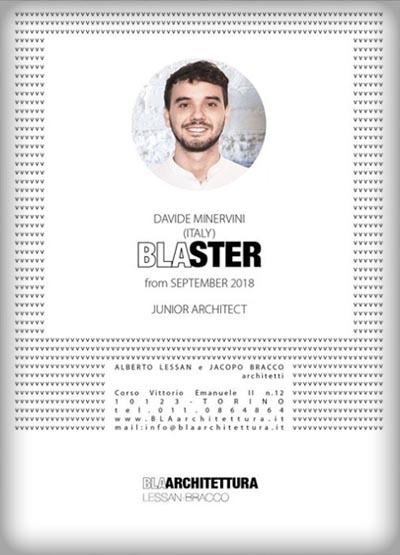 in the "Yearbook 1" dedicated at the "Selection of Italian Architects of the Italian and Young Architectural Talent Prize, with not one but two projects (Fermi and Portland). 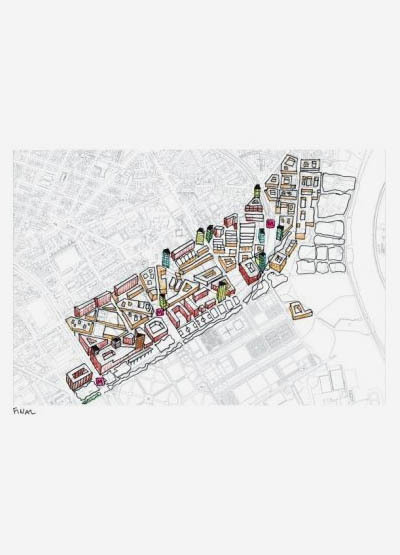 Together with nine teams of architects based in Turin, we were chosen to participate in the city imaging experiment - practical solutions or utopian fantasies - with our own "swimming" vision of Turin to the interesting torinostratospheric event. 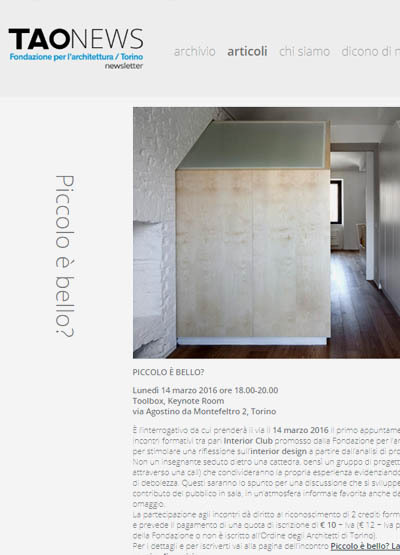 The exhibition will take place at the Bellissimo Blue Loft and will be replicated also in Paratissima 2017. INTERIOR CLUB. GOD IS IN THE DETAIL! 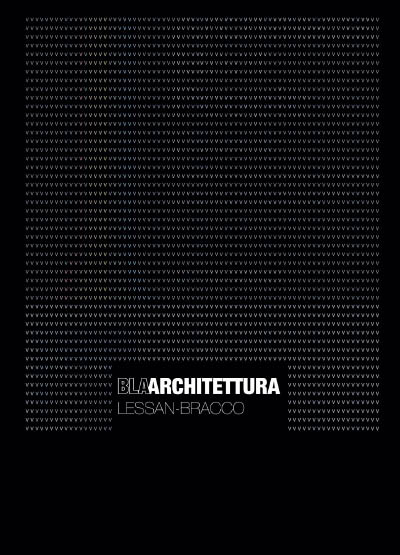 BLAARCHITETTURA invited as speacker at "God is in the detail!" 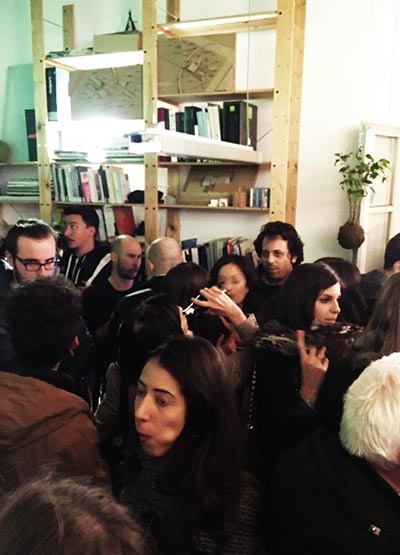 in the event INTERIOR CLUB organized by Fondazione per l'architettura/TURIN. 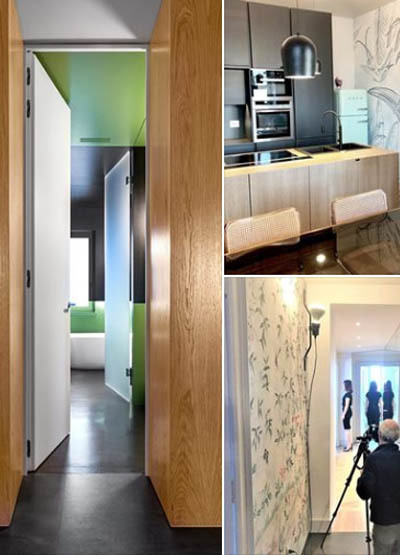 FERMI project has been published by Zamora Francesc in the new book "Smart Spaces: Storage at home" which includes creative solutions regarding the optimization of the spaces in the home. 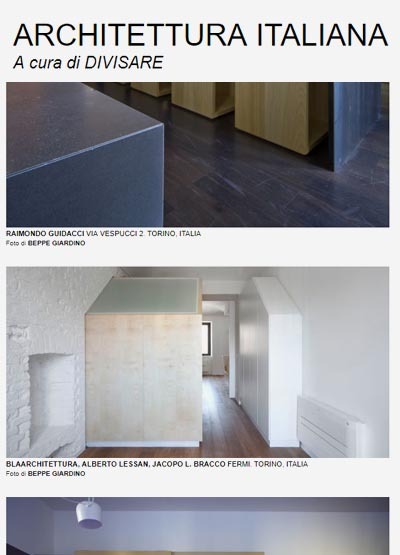 Italian Magazine ABITARE published our last projects PORTLAND and MORRISSEY. 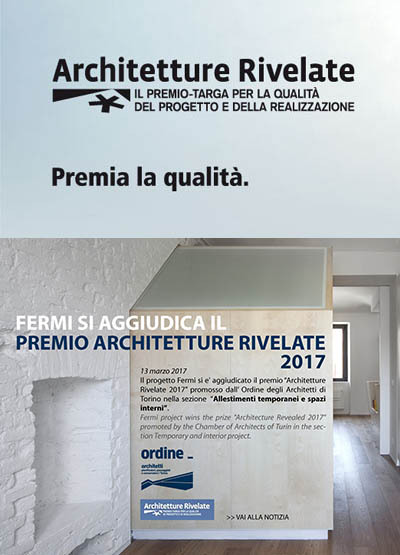 FERMI project wins the prize "Architectures Revealed 2017" promoted by the Chamber of Architects of Turin in the section Temporary and interior project. Lithuanian Magazine NAMAS IR AS publish our last project PORTLAND. 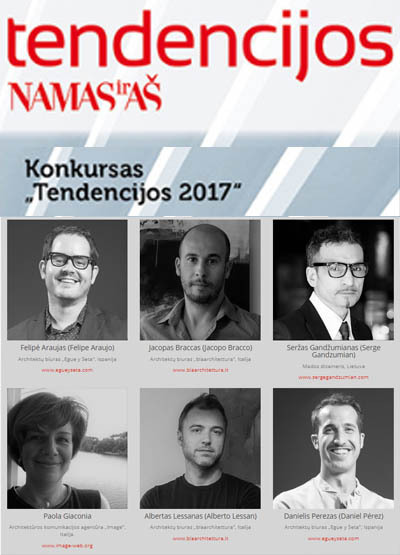 Lithiuanian Magazine NAMAS IR AS nominate us as jury of the competion "Tendecijos 2017". 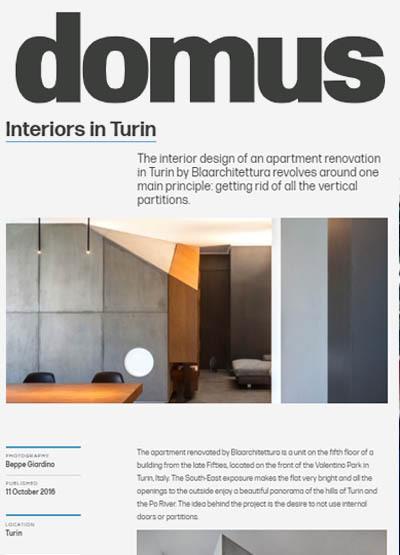 DOMUS publish in excluive right our last project PORTLAND. 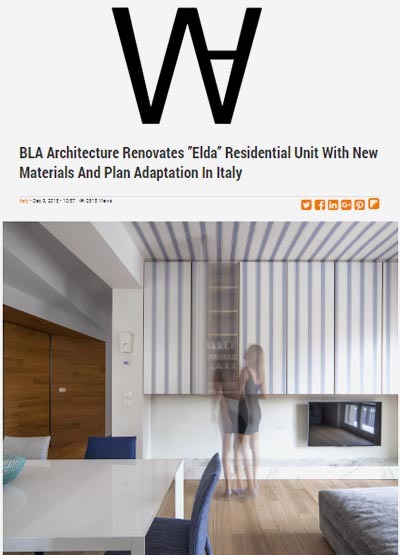 DESIGN WIRE publish the project ELDA in a online review..
We have met Bjarke during Design Week in Milan at Fondazione Prada. 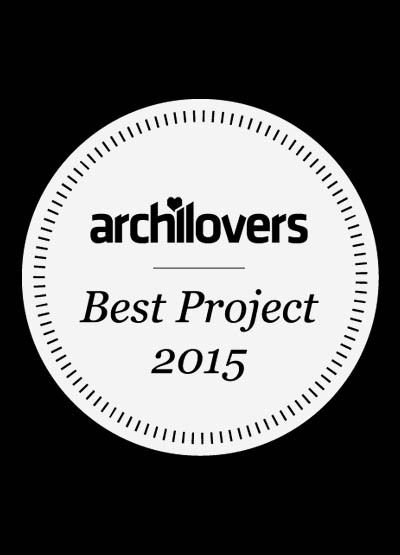 BLAARCHITETTURA is chosen for "Archilovers Best Project 2015" with project FERMI for aesthetics, functionality and creativity. Towant invete us to partecipate to Architects Party 2016. We are invited as speacker at "Piccolo è bello?" 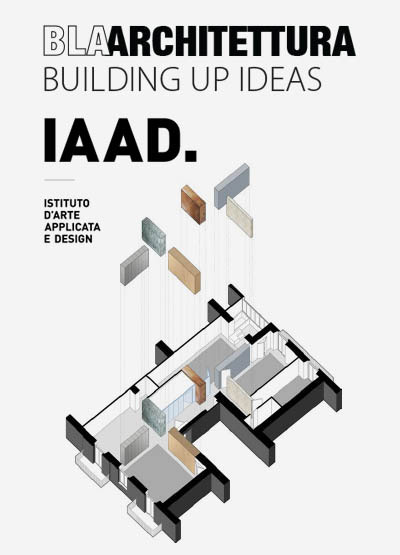 in the event INTERIOR CLUB organized by Ordine degli Architetti di TURIN. 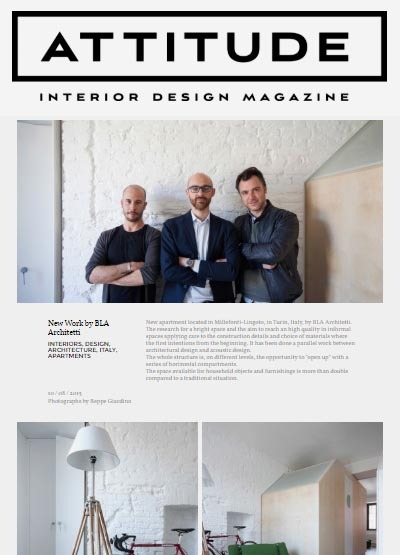 Online magazine "ATTITUDE" publish a review about the project ELDA. 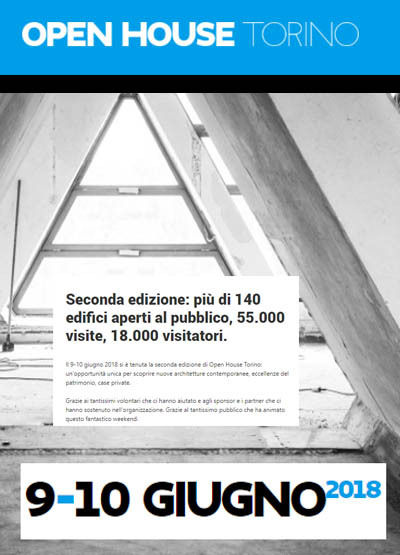 Online magazine "ABITARE" publish a review about the project FERMI. 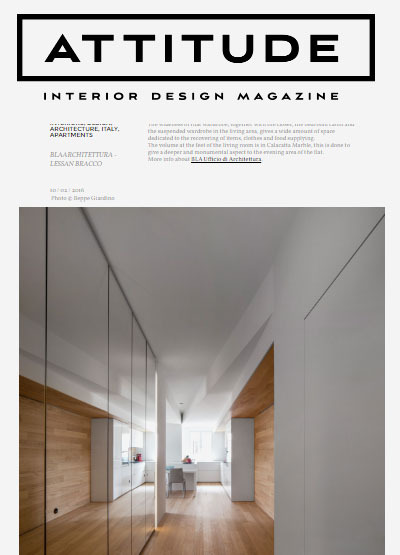 We are published in a review on Spanish Magazine "DISEÑO INTERIOR" n.278 about the project FERMI. 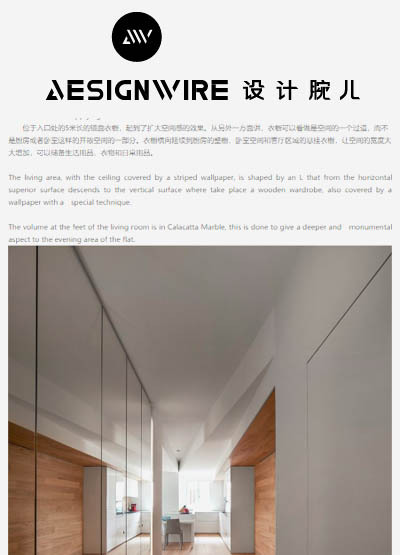 We are published in a review on Chinese magazine "Perspective" about the project FERMI. 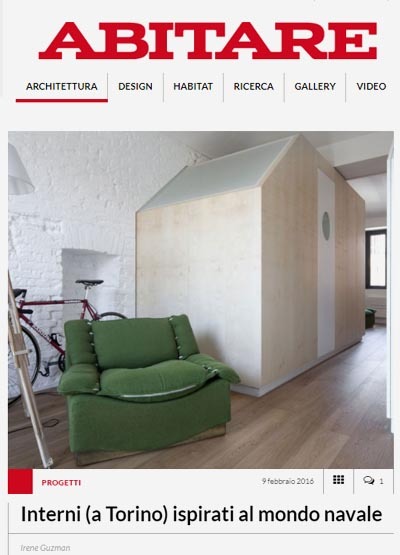 We are published on Architettura Italiana Home in the section "Piemontesi Interiors"
We are published in the home of WORLD ARCHITECTURE with the project ELDA. 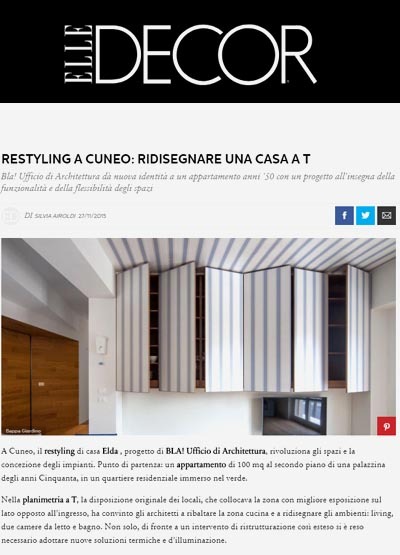 We are published in a review on www.elledecor.it about the project ELDA. 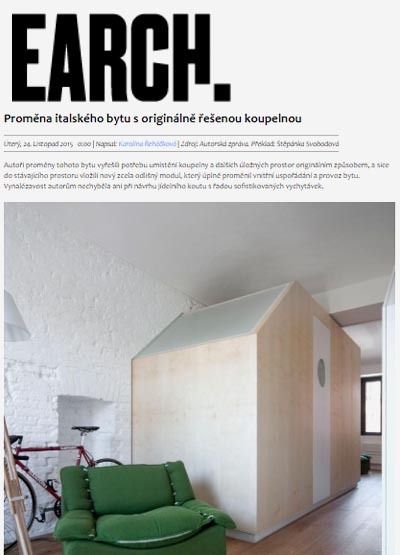 We are published in the home of www.earch.cz with the project Fermi. 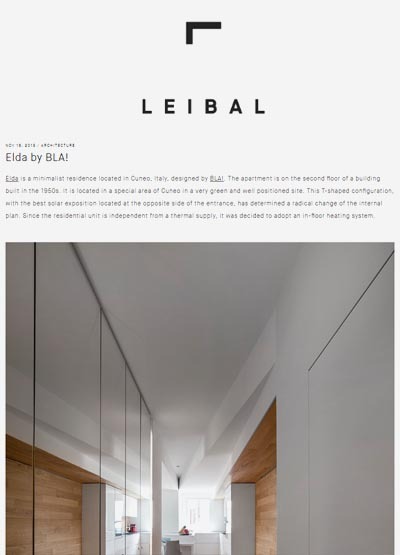 We are published on LEIBAL with the project ELDA. 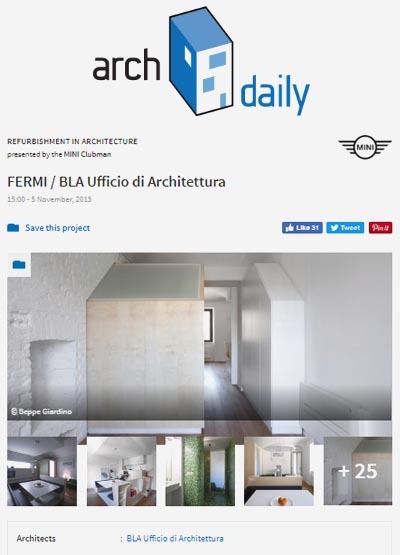 We are published in the home of www.archdaily.com with the project Fermi. We are published in a review on Lithuanian magazine "Statyk!" about the project Windsurf. We are published in a review on Portoguese magazine ATTITUDE about last project Fermi. 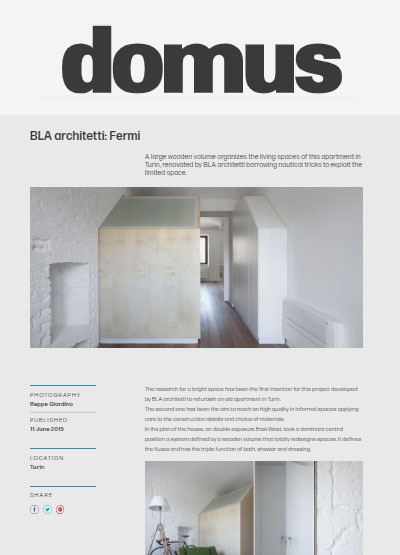 We are published in exclusive on domusweb.it about last project "Fermi. We are published in a review on Lithuanian magazine "Statyk!" about the project Ipahim. 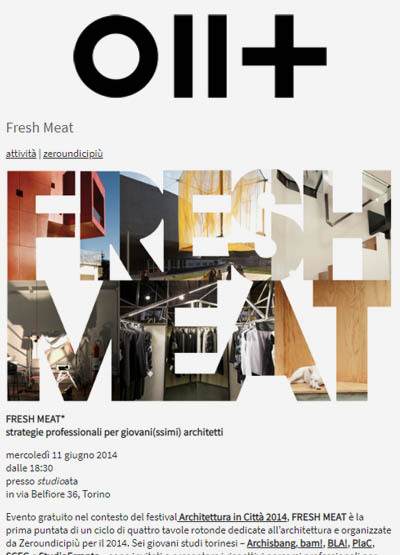 BLAARCHITETTURA is called in the context of Architecture in the City Festival 2014(Turin) in FRESH MEAT conference, first of a series of four panel discussions devoted to architecture and organized by Zeroundicipiù for 2014. 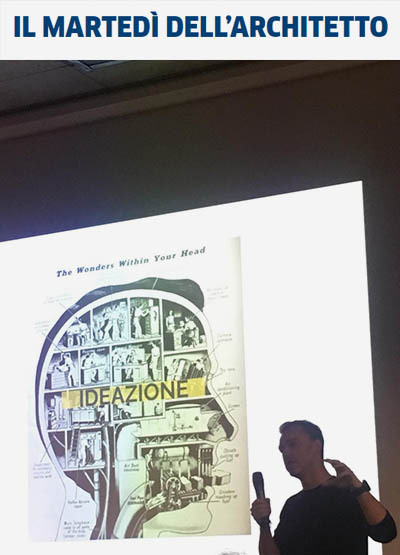 We took part in the Workshop "Ideas in Construction" for the redevelopment of the historic center of Cuneo and their project "Stay Hungry, Stay Cuni." 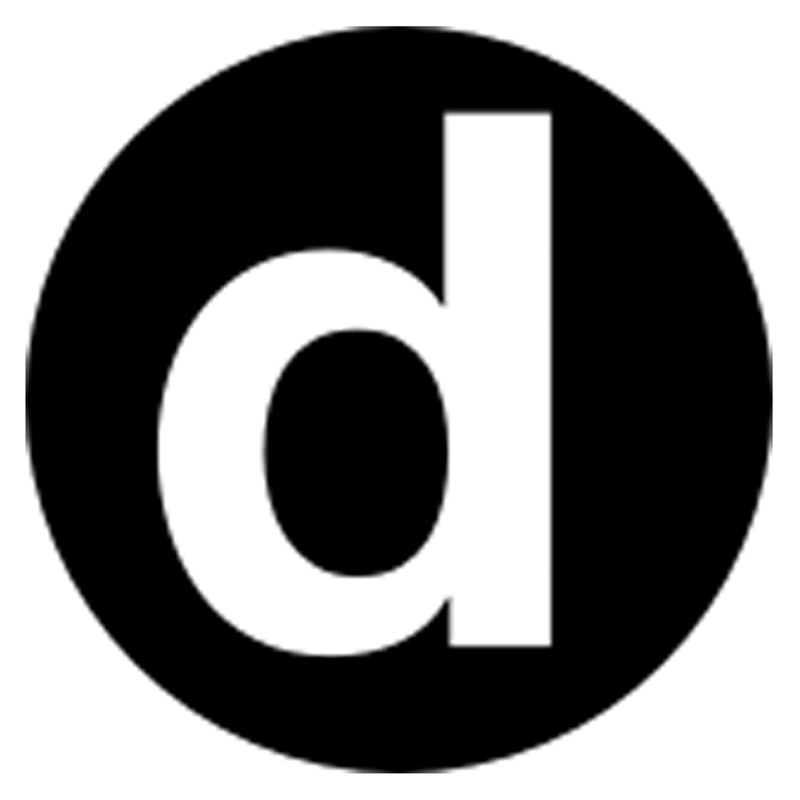 is mentioned among among 18 groups of professionals. 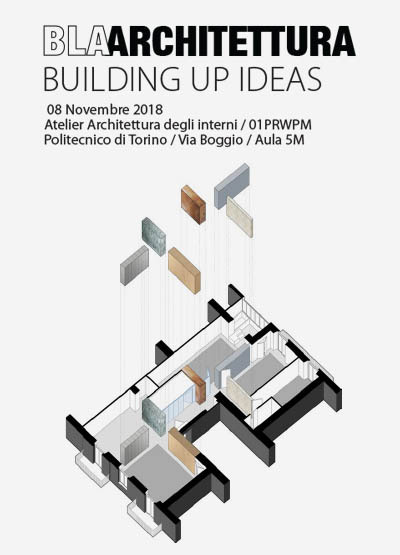 BLAARCHITETTURA in veste di Ufficio Tecnico di Spazio211 durante la "Design Charrette" organizzata dal gruppo To Make!, un gruppo di lavoro che insieme alla Città di Torino si sta occupando del Masterplan per la Variante 200. 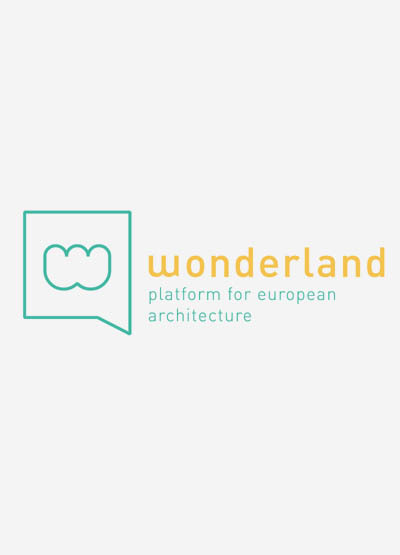 BLAARCHITETTURA è selezionato dalla piattaforma Wonderland come speaker per l'evento internazionale "Blind Date" presso l'Ordine degli Architetti di Milano. 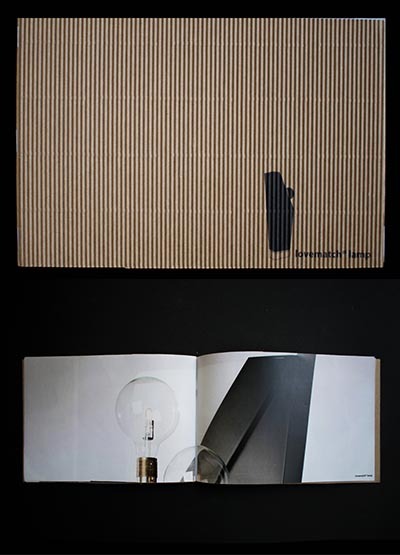 Brochure illustrativa della lovematch lamp. 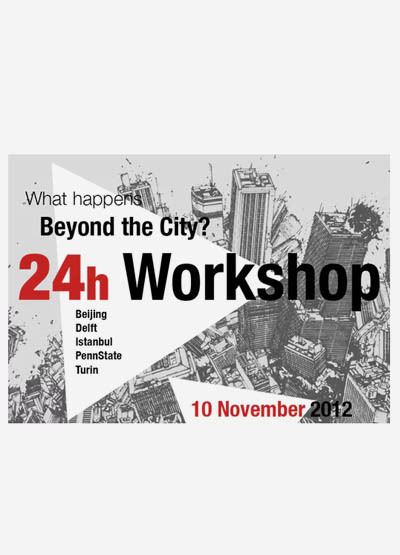 Alberto chiamato come tutor per il 24H Workshop Beyond the City organizzato da PlinTo che vedrà dialogare 5 realtà differenti: Torino, Pechino, Instanbul, Delft e Penn State. 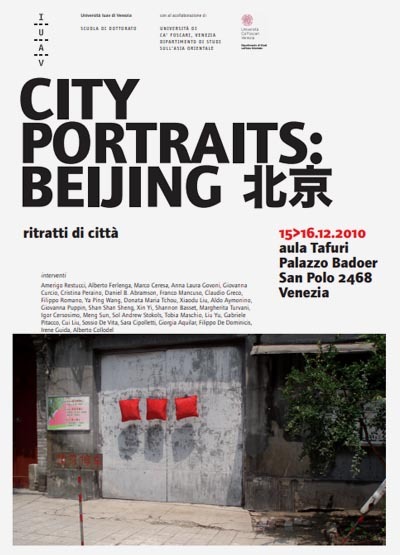 Alberto è chiamato per un intervento alla conferenza internazionale "City Portraits: Beijing" presso Palazzo Badouer, IUAV, Venezia.